The DeLeon Family has been performing at Oktoberfests all over Florida for over 30 years. Spanning 3 generations of accordion players, the DeLeon Family Oktoberfest band offers an authentic Oktoberfest experience like none other. 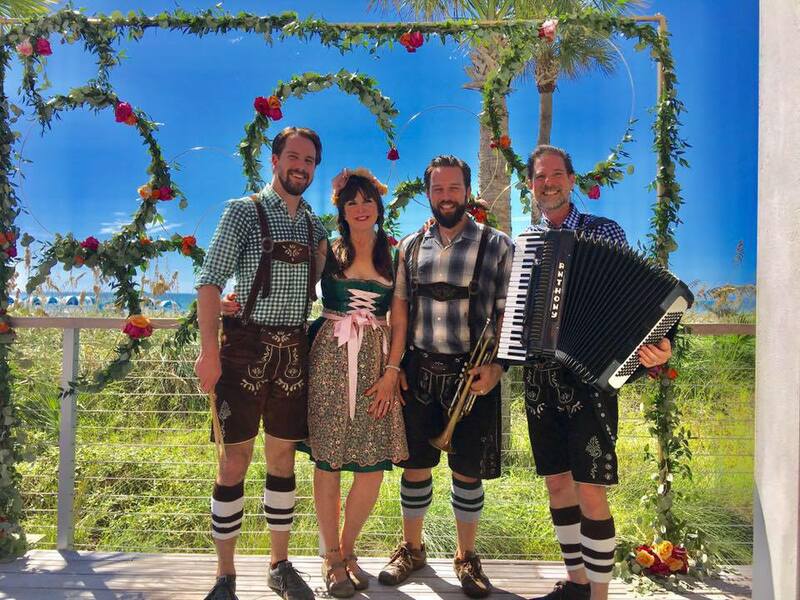 Creating the atmosphere of a traditional "oom-pah" style Polka band with the energy of a live festival band, the DeLeon Band can sing and play all of the classic Bavarian heritage music, as well as more contemporary tunes from today's Oktoberfest. Mario and Anthony DeLeon perform instrumental Oktoberfest music. Guten Tag! Looking to bring the DeLeon Oktoberfest Band atmosphere to your next event? Please use the contact form below or call us at 813.933.3924 with any questions and we’ll get back to you as soon as possible.